Step 1 What Canadian Naturalization Records are available? Step 3 What Canadian Naturalization Records have been filmed and where do I find them? This resulted from the compulsory registration of all persons, 16 years of age or older, in the period from 1940 to 1946. 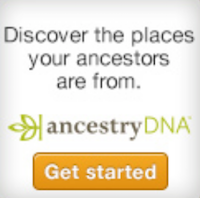 This is another way to find an ancestor in that time period. This is a Census Substitute, not a naturalization record but I include it here for those who may find it useful. You may view a list of the questions asked on the National Registration forms for Men and for Women, as well as a full-size graphic of the blank forms. The National Registration File includes the following information on an individual: Name, address, age, date of birth, conjugal status, dependents, country of birth (persons registered and parents only), nationality, racial origin, languages, education, general health, class of occupation, occupation or craft, employment status, work experience by type, mechanical or other abilities, latent skills, wartime circumstances, previous military service. Of what dependants (if any) are you the sole support: Father, Mother, Wife, # of children under 16, # of other dependants, Do you contribute partial support to anyone? Nationality or country of allegiance - British subject a) by birth? b) by naturalization? c) Foreign citizen? d) If naturalized, in what year? e) in what place? f) if not British subject to what country do you owe allegiance? g) if an immigrant, what year did you enter Canada? Language or Languages a) Do you speak English? b) French? c) What other languages can you speak, read and write? Education. a) Primary only b) Primary and Secondary c) Vocation Training (Business College, Technical High School) d) College or Universtity Degree? Unemployment a) How many weeks did you work in the past 12 months? b) If out of work now, state number of weeks since last employed in any occupation other than work performed in return for direct relife c) Are you totally incapacitated for employment? (a1) Were you brought up on a farm? (a2) until what age? (b1) Have you worked on a farm? (b2) How long? (b3) In what province or country? (c1) Can you handle horses? (c2) Drive a tractor? (c3) use farm machinery? (c4) Can you milk? (c5) Are you able to do other farm work? Is there any particular occupation in which you would like to be specially trained? Defence Services: (1) Have you previously served in any Naval, Military or Air Froces? If so, state (a) Forces of what country (b) Approximate dates between which services performed (c) Unit (d) Rank held (2) If retired or discharged, give reasons therefor (3) Have you been rejected for military service in the present war? (a) Why? (b) Where? Of what dependants (if any) are you the sole support: Father, Mother, Husband, # of children under 16, # of other dependants, Do you contribute partial support to anyone? Education. a) Primary only b) Primary and Secondary c) Vocational Training (Business College, Technical High School) d) College or Universtity Degree? State length of experience (in years) if any in: (a) General farming? (b) Truck farming? (c) Fruit farming? (d) Poulty farming? (e) Dairy farming? (f) Business establishments? Can you (a) handle horses? (b) drive motor trucks? (c) drive an automoblie? (d) Drive a tractor? (e) use farm machinery? (f) milk cows? (g) do plain cooking? Do your circumstances permit you to serve in the present national crisis, by changing your present occupation to some other for which you are qualified? (a) Where you can return home daily? (b) Away from home? To provide third-party information from the National Registration File of 1940 for genealogical purposes, a standard fee of $47.25 ($45 search fee and $2.25 GST) is charged for each search undertaken that is successful in locating the requested record. A cheque or money order made payable to Statistics Canada is required. An online order form is provided on Statistics Canada website. * 1918 National Registration Certificate Issued to Alex. A. Kalinakoff in Saskatchewan 22 June 1918 Note that the forms filled out for the WW1 National Registration have not survived.